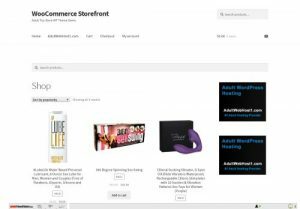 Storefront is the perfect theme for your next Adult Ecommerce Project. Designed and developed by WooCommerce Core developers, it features a bespoke integration with WooCommerce itself plus many of the most popular customer facing WooCommerce extensions. There are several layout & color options to personalise your shop, multiple widget regions, a responsive design and much more. Developers will love its lean and extensible codebase making it a joy to customize and extend. Looking for an adult WooCommerce theme? Look no further!